Rules: Each Raider puts the top card of his deck into his graveyard. 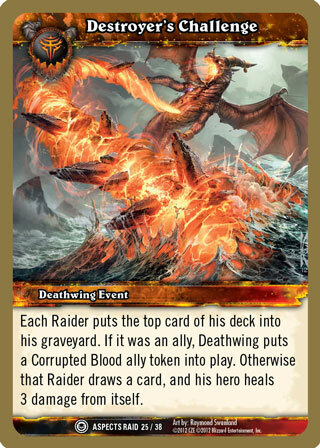 If it was an ally, Deathwing puts a Corrupted Blood ally token into play. Otherwise that Raider draws a card, and his hero heals 3 damage from itself.